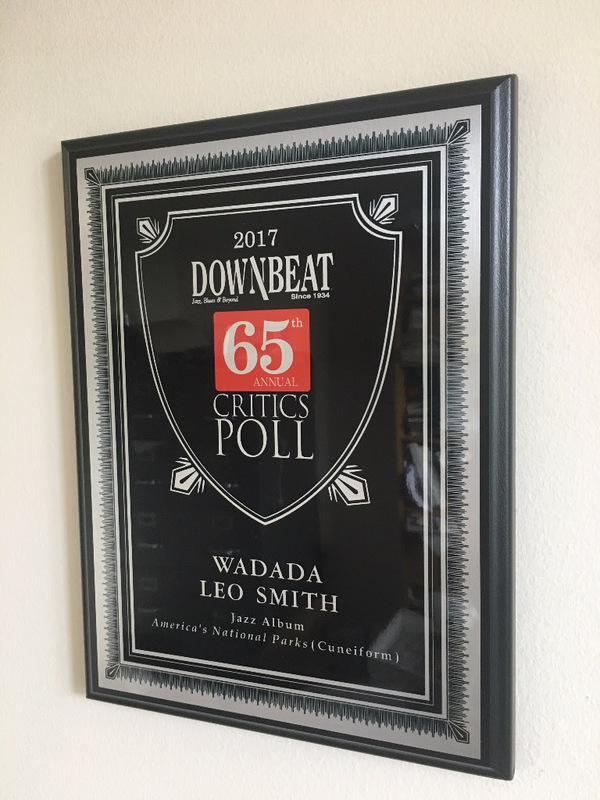 DownBeat Magazine's 65th Annual Critics Poll honors Wadada Leo Smith's America's National Parks, released on Cuneiform Records, with its 2017 Jazz Album of the Year Award. 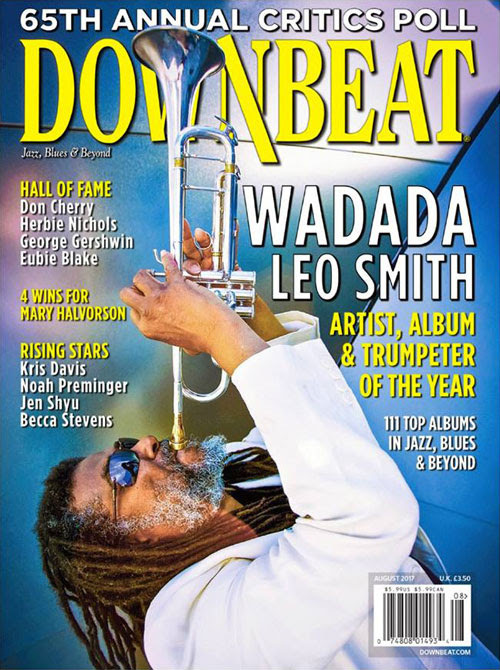 The DownBeat Critics Poll Awards, one of the jazz world's most prestigious honors, also recognized Smith with its 2017 Musician of the Year Award and its Trumpeter of the Year Award. Earlier this summer, Smith was named 2017 Jazz Artist of the Year by the Jazz Journalist Association. 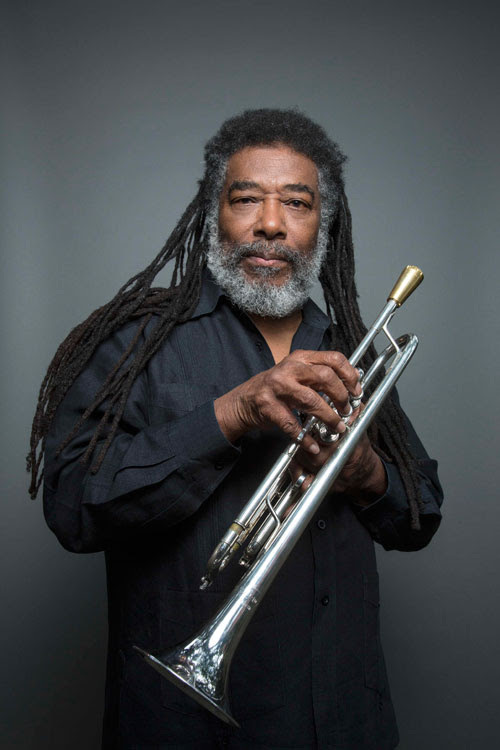 Without question, 2017 is The Year of Wadada Leo Smith. 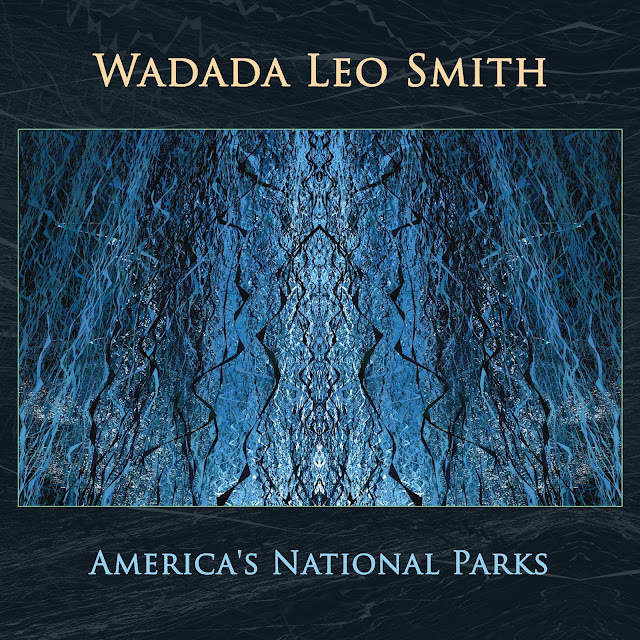 In October 2016, while America celebrated the Centennial of America's National Park Service and prepared for its 45th presidential election, the visionary composer and trumpeter Wadada Leo Smith released an extraordinary double-disc album on Cuneiform Records. Named after and in tribute to America’s National Parks, it was a six-movement suite inspired by the scenic splendor, historic legacy, and political controversies of the country’s public landscapes. 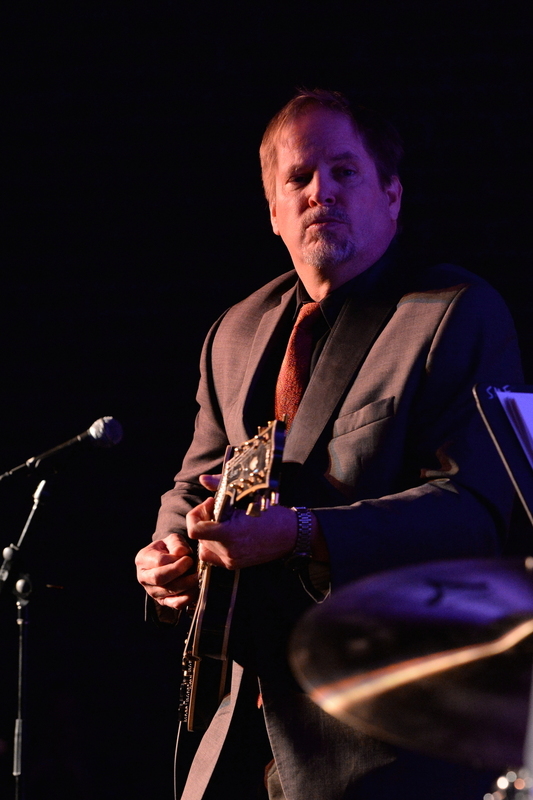 Smith recorded the album with his longstanding Golden Quintet: Anthony Davis (piano), Ashley Walters (cello), John Lindberg (bass). Pheeroan akLaff (drums) and Jesse Gilbert (video artist). The two-disc set featured six Smith compositions that celebrated America's most iconic national splendors and proposed new monuments to America's shared experience. Among the tracks celebrating national parks was one titled "Yellowstone: The First National Park and the Spirit of America – The Mountains, Super-Volcano Caldera and Its Ecosystem 1872", which honored the first National Park in America and in the world, created before the founding of the National Park Service. 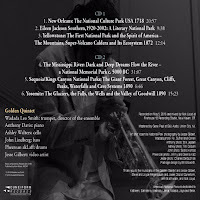 Cuneiform Records - the same label that released Smith's monumental, 4-disc tribute to the American Civil Rights movement, Ten Freedom Summers, a finalist for 2013's Pulitzer Prize - released America's National Parks worldwide on October 14th, 2016. Cuneiform announced America's National Parks release in a special "The Word is Out" eblast. From the moment of its release, America's National Parks steadily accrued acclaim from jazz and creative music critics and fans worldwide. 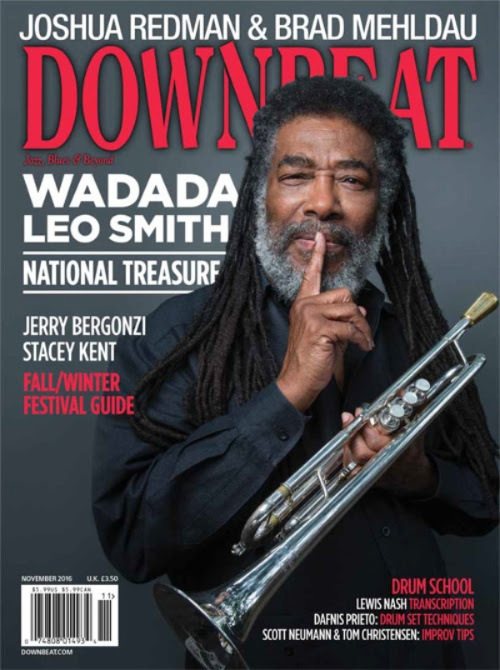 DownBeat Magazine featured Smith on its November cover, calling him a "National Treasure." Now, in Summer 2017, America's National Parks has received one of the jazz world's most coveted prizes: named #1 Jazz Album of the Year by DownBeat Magazine's 65th Annual Critics Poll. If YOU have not yet heard America's National Parks, one of the most acclaimed jazz & creative music recordings of the 2016-2017 year, NOW is the time! Last summer - on August 26th 2016 - America celebrated the 100th Anniversary of the National Park Service. Centennial celebrations were held throughout 2016 across America. Cuneiform sent out an eblast in August 2016 that congratulated the National Park Service on its landmark anniversary and announced Wadada Leo Smith’s upcoming release of America's National Parks. A lot has changed in the USA within a year, since Cuneiform sent out that August 2016 announcement. As 2016 ended, President Obama's second term came to a close. In January 2017, President Trump began his term in office. Now, in 2017, the legacy of Wadada Leo Smith's America's National Parks continues to grow. But the future of America's own National Parks, National Monuments and other public lands is in peril, an alarming fact for all Americans regardless of political affiliation. On Jan. 19, a Guardian article revealed that while Americans had been reacting to assaults on Obamacare, women's rights and civil rights, Congress quietly eased the way for the new administration to give away our federal public lands. Since then, a ceaseless blizzard of legislative bills and decrees have been introduced to sell off, privatize, or privately exploit public lands; cut funding and remove law enforcement from them; and dismantle environmental protections (water, oil drilling, mining etc) on them. Most recently, America's National Monuments and the 1906 Antiquities Act used to create them (and National Parks) have been under attack, their status under "review". New assaults on America's public lands and natural environment arise daily. All are connected; while draining our nation of natural resources, oil/gas/coal corporations and private developers/businessmen would benefit, while impoverishing the American public of its national, natural birthright. During these politically, socially and racially divided times, America needs its national and natural spaces more than ever before: symbolically, spiritually, socially and physically. Mother Nature is a healing force for all humanity, regardless of color, creed or political affiliation. America's National Parks, National Monuments, and federal lands are the priceless Common Grounds on which our divided nation can come together as One People - Americans - and eventually heal. We must keep America Great by preserving our great lands. Smith has released more than 50 albums as a leader on labels including ECM, Moers, Black Saint, Tzadik, Pi Recordings, TUM, Leo and Cuneiform. His diverse discography reveals a recorded history centered around important issues that have impacted his world, exploring the social, natural and political environments of his times with passion and fierce intelligence. 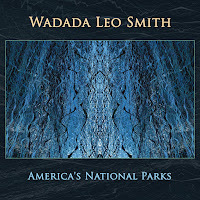 Four years before the release of America's National Parks, Wadada Leo Smith had released another epic work on Cuneiform Records. 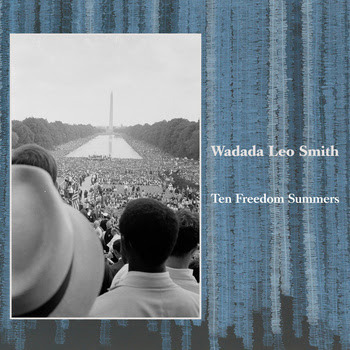 Ten Freedom Summers was a landmark civil rights opus that garnered critical acclaim worldwide and was honored as one of the three finalists for the 2013 Pultizer Prize; "A staggering achievement [that] merits comparison to Coltrane’s A Love Supreme in sobriety and reach” (Francis Davis, Rhapsody Jazz Critics Poll). A monumental work released as a four-disc set, Ten Freedom Summers came out on Cuneiform in 2012. 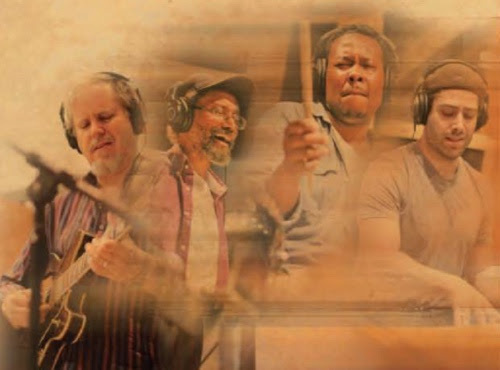 If you've not yet heard Ten Freedom Summers, one of the most acclaimed jazz & creative music recordings of the 2012-2013 year, NOW is the time! Cuneiform Records is one of the world's most longstanding independent record labels. Internationally respected for high-quality releases of avant garde music by some of the best musicians in the world, it releases music by established icons as well as young rising stars. Cuneiform specializes in cutting-edge music in a wide variety of genres, ranging from jazz to rock to electronic to post-classical to Rock in Opposition and beyond - and is especially known for releasing creative music that defies, re-defines, hybridizes and/or transcends existing musical genres, blazing future paths. 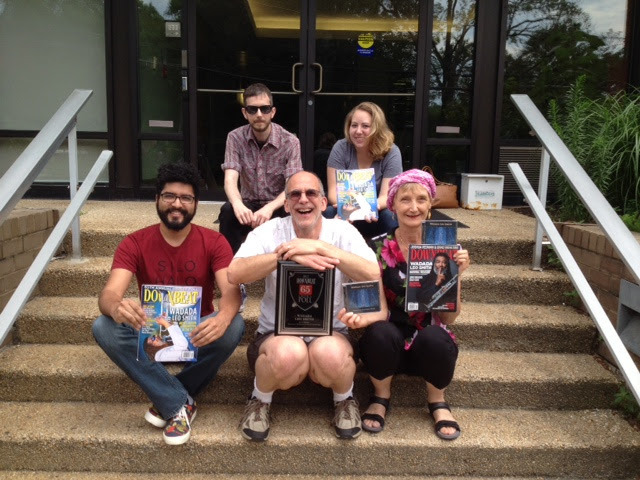 Based in the Washington DC beltway (downtown Silver Spring, MD) since 1984, it has released more than 450 albums to date. Its releases have been critically acclaimed worldwide, and have appeared over the years in Best-Albums-of-the-Year lists in such publications as The Wall Street Journal, New York Times, Popmatters, The Quietus, DownBeat, Jazz Wise, The Wire, and more. Cuneiform's recordings have been featured worldwide on radio ranging from college and community stations to national radio (NPR, BBC, RAI, NRK). 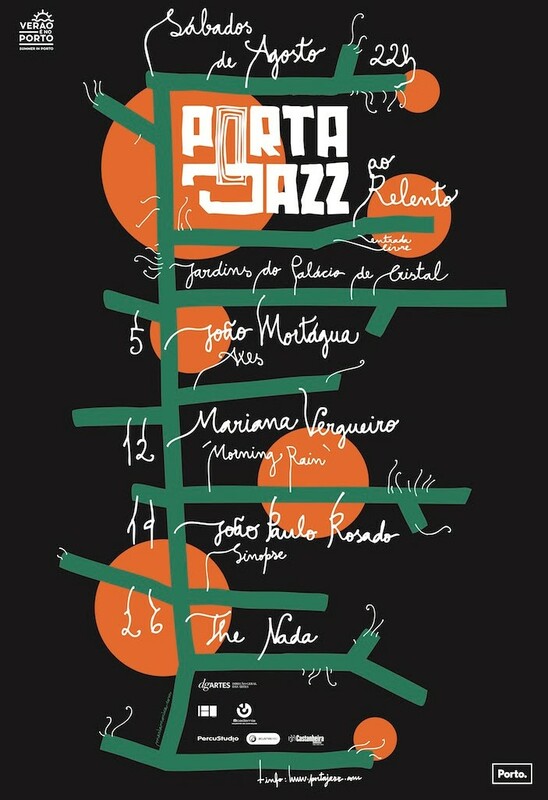 In addition, Cuneiform Records has been honored over the years by inclusion in a number of year-end Best Record Label lists (under both jazz and rock/avant-progressive genres); most recently, it was cited in El Intruso's 2016 International Critics Poll as one of the world's top 5 creative music/jazz record labels. “The Nada" surge com o intuito de constituir uma plataforma para o experimentalismo sonoro, para a improvisação livre, para a exploração de formas e estéticas menos convencionais. 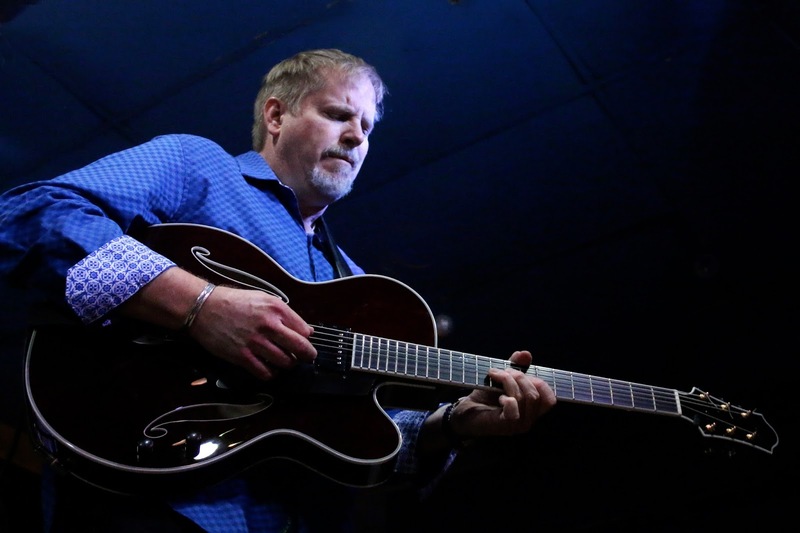 If you have chops like Dave’s; his musical sensibilities; his uncanny ability to put together interesting instrumentations; his skill at selecting just the right band mates to make Jazz with; wouldn’t you want to work all the time, too? It becomes like anything you’re good at; you want to do it as often as possible but occasionally vary the context to keep it from getting stale. A real burner of a set, it feels like an artifact from the past, unreleased from Bluenote/Verve, but it’s modern, contemporary touches are well evident showing how a cat that’s been hitting all the right notes for all these years can’t make a false step now. 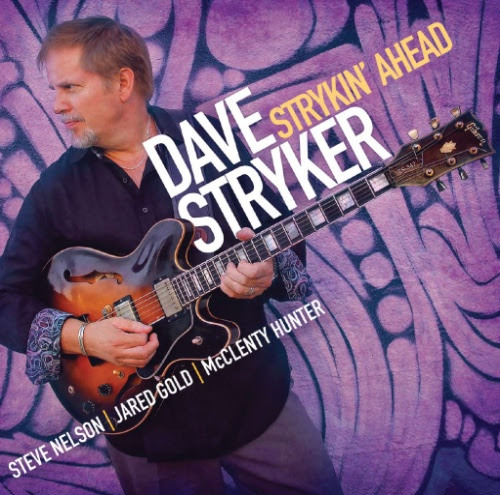 I give Dave and his talented crew a MOST HIGHLY RECOMMENDED, with an “EQ” (energy quotient) rating of 4.99 for this one… and keep in mind that you heard it here first… this one is BOUND for the awards.